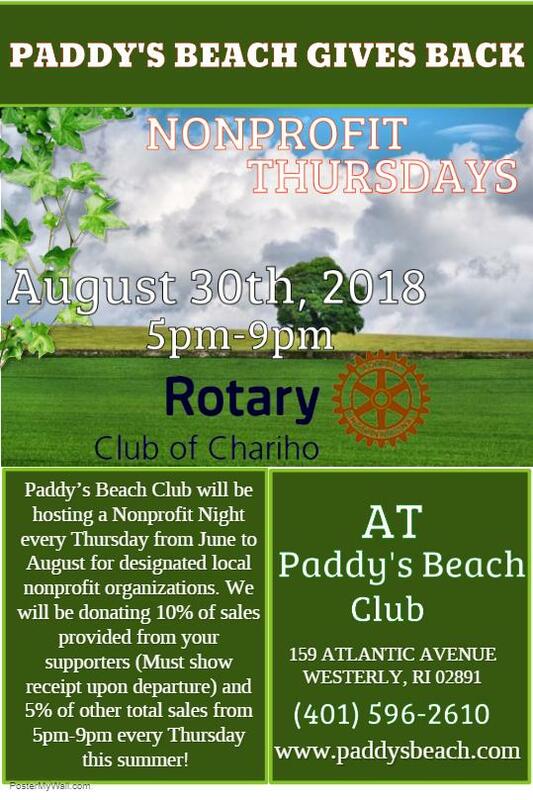 Paddy's Be ach Club is hosting give back nights on Thursdays this summer. Chariho Rotary has been chosen to be the recipient on August 30th from 5-9PM! Paddy's will donate 10% of sales provided by our supporters who show their receipts. And 5% of total sales! So PLEASE spread the word and PLEASE JOIN US! We look forward to seeing you!